ROCK HILL, SC — S.C. Governor Henry McMaster has appointed Rock Hill resident Gary Williams to the Winthrop University Board of Trustees. Williams will immediately fill the seat held by Don Long, who was appointed to the seat by former S.C. Governor Nikki Haley. Long, a retired IBM executive from Lake Wylie, served on the board for eight years and also served on the board’s student life, advancement, and enrollment and retention committees. 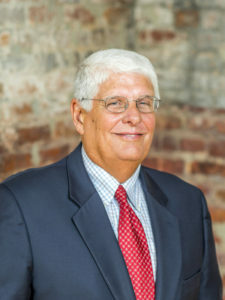 Williams is co-founder of Williams & Fudge Inc., a financial services firm in Rock Hill, where he currently serves as Chairman of the Board. Williams received an honorary Winthrop degree in 2011 for his work as a champion of education in the community. He and his wife, Peggy, established at Winthrop the Gary and Peggy Williams Fund for Literacy. He has served on the Winthrop Foundation Board, the Palmetto Council of the Boy Scouts, the YC Community Foundation, Camp Canaan, and served with other local organizations. “Gary has been a steady leader at Winthrop for many years serving in a variety of capacities, including his service on the Foundation Board and the Community Leaders Advisory Group. I’m looking forward to our continued work together in his role as our newest trustee,” said Mahony. Williams will begin his new role by participating in the April 11-12 Board of Trustees meetings.